A new report by the federal environmental commissioner says Health Canada isn’t doing enough to protect Canadians from hazardous chemicals in household and cosmetic products. Julie Gelfand also draws attention to the need to consider the impact of extreme weather events in decisions about infrastructure. A new report by the federal environmental watchdog says Health Canada isn't doing enough to protect Canadians from hazardous chemicals in household and cosmetic products. Julie Gelfand released her spring reports Tuesday, including an audit that highlights a number of gaps in the federal Consumer Product Safety Program that is supposed to detect and assess risks to human health from everyday products. The audit showed Health Canada does not regularly test cosmetic products to verify the accuracy of product labels or check to see if they contain heavy metals or contaminants. It also points out that under the current law, ingredients labelled "parfum," "aroma," "fragrance" or "flavour" may include chemicals of concern to human health — but companies aren't required to tell consumers or Health Canada. "Those catch-all terms can conceal a range of potentially hazardous chemicals and this information is not readily available to consumers," Gelfand told reporters Tuesday, adding that these substances can trigger allergies and asthma, and have been linked to cancer. Her report found that Health Canada does not regularly test for prohibited or restricted ingredients in cosmetics, and "cannot assure consumers that these products comply with the Food and Drugs Act and are safe." Nathan Cullen, the NDP's environment critic, said Health Canada is "short-changing" Canadians on very basic information about the potentially harmful ingredients is cosmetics. "Buyer beware is not a good way to go for Canadian consumers," he said. The report also points out that products with labels claiming a product is "fragrance-free" or "unscented" may actually contain chemicals to mask the scent, but Health Canada can't take action unless the label makes a specific claim about health and safety. Gelfand's report said the department should do more product testing and inform consumers that terms like "hypoallergenic" or "unscented" don't necessarily mean the product is healthy or safe. It also recommends that Canada align its regulations with the European Union, which has made companies label products that contain any of the known 26 fragrance allergens since 2003. 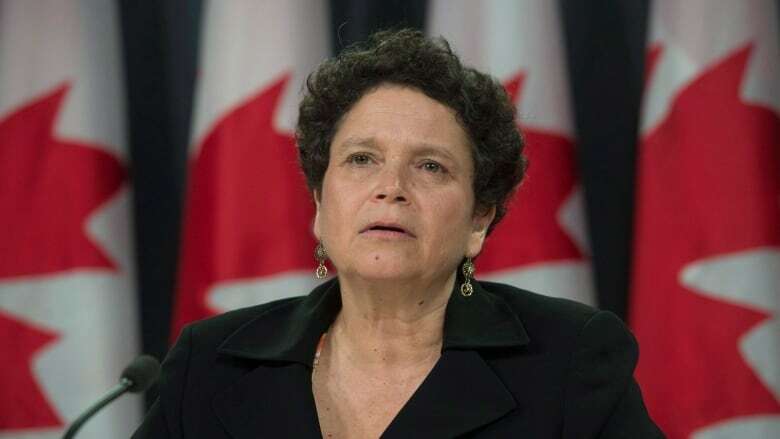 Health Canada said it generally agreed with the commissioner's recommendations, saying it is reviewing its plan and will include testing of cosmetics to look for banned or restricted substances. It may also require companies to confidentially disclose a full list of ingredients that are now kept secret for competition reasons. Gelfand's report also took a close look at federal efforts to build resilient infrastructure that can withstand the effects of severe weather linked to climate change. "Severe weather is expensive. The federal government has spent more on recovering from large-scale natural disasters over the past six years than the preceding 39 years combined," Gelfand said. It found that Infrastructure Canada is not looking at environmental risks or future changes to the climate when it asks for proposals for big expensive infrastructure projects. Fort McMurray fire: How soon is too soon to talk about climate change? "When environmental risks are not considered, projects may not be designed to minimize environmental effects or withstand the impacts of future weather events," warned the report. "This means municipalities could be left facing significant unexpected costs down the road." Federal data that predicts extreme rainfall and storms is used by engineers when designing buildings but that database has not been consistently updated since 2006. National guidelines for flood hazard assessment that help municipalities plan for growth have not been updated since 1996. The National Building Code that is used as a guideline for provincial and territorial building codes, doesn't take into consideration predictions for future climate conditions. Gelfand concludes that federal efforts are "too often piecemeal, too focused on the short term and driven by what the government wants to put out instead of what end users need." She also concludes there is no clear proof the Gas Tax Fund, which provides predictable funding to municipalities to clean up their environmental performance, has actually resulted in cleaner air and water or in lower greenhouse gas emissions. The Gas Tax Fund has paid out $13 billion since 2005 and now provides about $2 billion a year. But the audit found that Infrastructure Canada "is unable to provide Parliament with a clear description of the results obtained through a decade of funding." This spring report dates back to actions in the last year of the previous Conservative government.